With 79 councils across Victoria, local government is one of the biggest and most diverse sectors to work in. If you're passionate about your community, local government jobs offer you the opportunity to help shape the future. Victorian government jobs offer opportunities for people with diverse skills. The sector employs staff in the areas of health and community care, corporate and business support, engineering, planning and community development, and environment and emergency management. 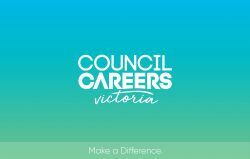 Our Council Careers Victoria platform is live on LinkedIn with 38 councils connected and more than 100 jobs listed. In 2017, a partnership was brokered by the MAV with LinkedIn which will help promote careers in local government and address key employment issues for Victorian councils, including skills shortages in key professional areas, lack of workforce trend data, ageing workforce and difficulty in attracting and recruiting staff. View our Council Careers Victoria platform on LinkedIn. We are keen to encourage Aboriginal and Torres Strait Islander people to work in Victorian local government. To read more about this initiative, visit the Aboriginal employment project page. To view a full list of all current council jobs, visit Vic Councils.